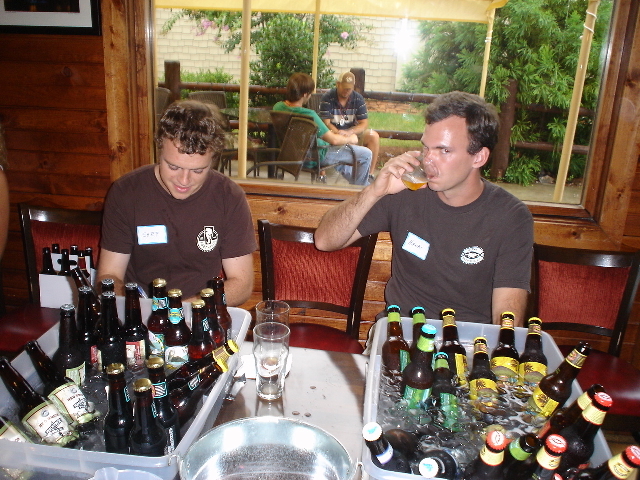 Brewtopia Events LLC summer mini beer tasting summary - held at 5 Seasons Brewing in Alpharetta - July 2008. Play the video to hear comments from attendees. 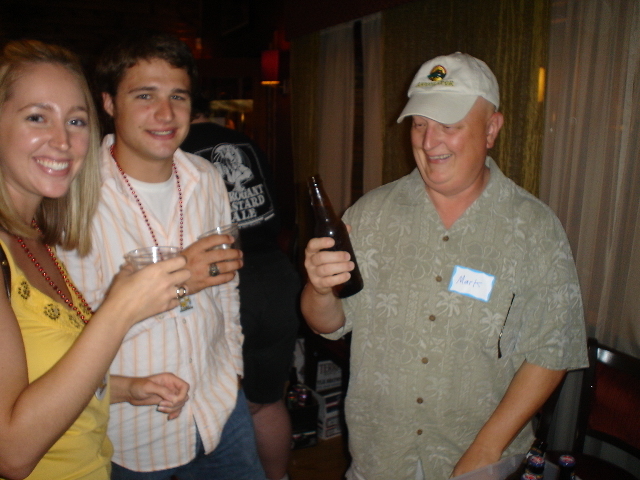 Owen and Kerri decided to run a small, enjoyable beer tasting event for about 45 attendees. 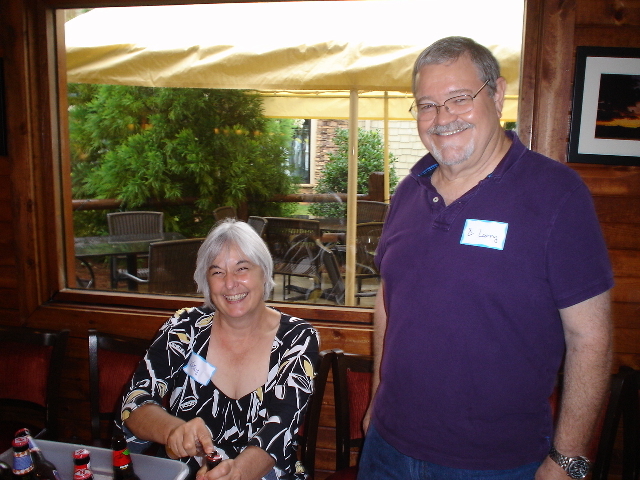 They chose the side room of 5 Seasons Brewing Company & restaurant in Alpharetta and held the event on Sunday, July 13 from 3:00 to 5:00 PM. Beers were sold by 5 Seasons, and the event included samples of 50 great U.S. craft beers, Reggae tunes, beer trivia and a free copy of The American Brew DVD from Here's to Beer. Attendees were pleased and amazed at the variety of colors, flavors and aromas in the beers, and everyone had a tremendous time. With almost every style of beer in the world being made today right here in our country, the American craft beer scene is truly exceptional. We'd like to thank our 12 volunteer pourers and Crawford Moran of 5 Seasons for making this intimate tasting event possible. Look below for the list of beers poured during the festival and a colorful photo album. Cheers! 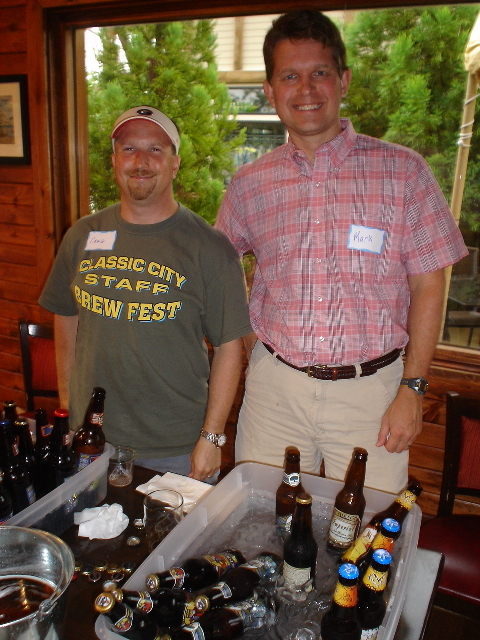 Craig and Mark served beers from HeBrew, Tommy Knocker and Flying Dog. Marilyn says, "With great beer, comes peace." Shep and Hank sample the great brews from Hawaii's Kona Brewing Company. 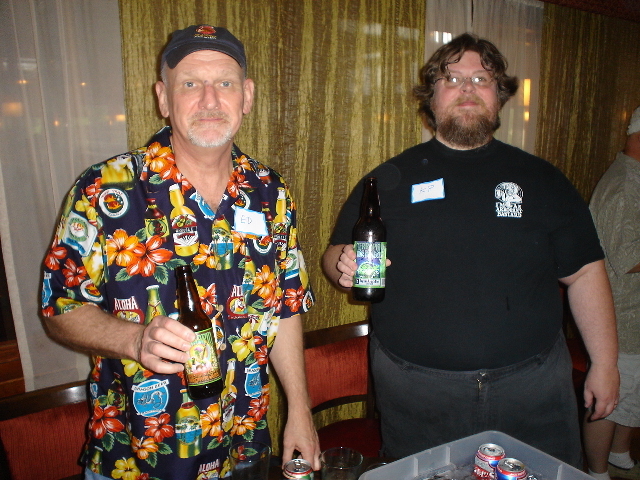 Ale Atlanta President Ed Hamrick (left) and RateBeerer KP shared the fine Terrapin beers with the crowd. Kathy and Larry poured the Harpoon selections. Mark Hall explained the subtleties of beer aroma and flavor components (whether attendees were listening or not).